After registering and logging in you will be redirected to the main menu of the WordPress backup plugin, where you should tick the Google Drive option and press Save. Then press Backup Now and wait until the process is finished. This may take 5 to 60 minutes denting on the size of the files incorporated in your website. 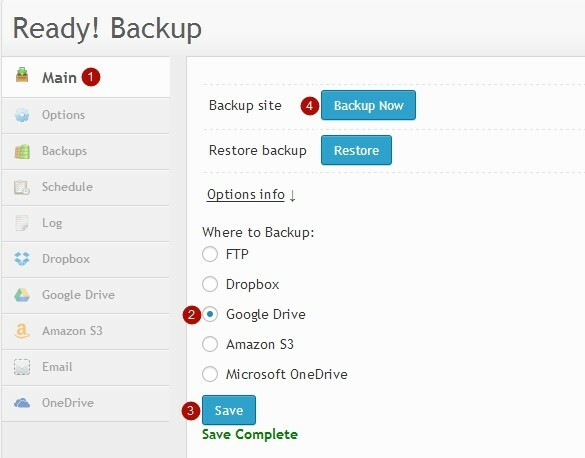 If the backup is successful, all your backup files will be displayed in the Backups tab. 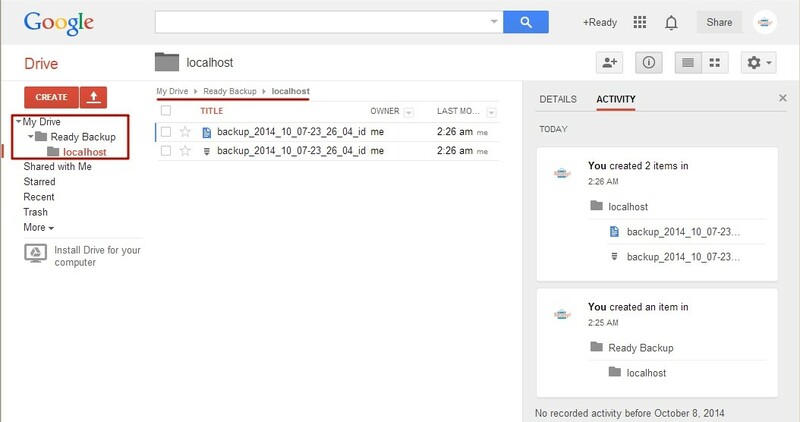 Also, you can locate your backup files via the Google Drive tab. In this tab, you can restore your website or delete backup files.